A GAL NEEDS...: Casio Exilim EX-Z550 Camera Giveaway! Casio Exilim EX-Z550 Camera Giveaway! Drumroll please! The winner of the Casio Exilim EX-Z550 Camera is #2 Sable! The winner was chosen through a random number generator, Random.org, and will be notified with e-mail. You have 48 hours to respond before a new winner is selected! Thank you ALL for participating! I'm SO excited to offer this giveaway to my own followers! I want to extend this to my followers to show you how much I appreciate that little extra effort when you opt to subscribe to or follow my blog. No one made you, but you did it anyway. Thanks so very much! This camera is absolutely beautiful! It offers a longer 4X Zoom and intelligent modes that offer versatility and simplify photography! It can record HD video and has YouTube capability. The retail price is $169. As you may be aware, Casio offers a wide array of fine products. I own several of their calculators, all of which are wonderful. I now also own this very camera and I love it! So, let's get to the giveaway! 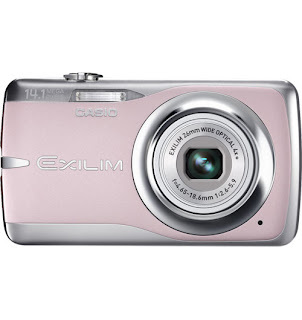 Casio is extremely kind to offer one of my followers a Casio Exilim EX-Z550 in their choice of color! Please complete the mandy before all other entries! Visit this page in Casio's on-line catalog and tell me a feature that you like about this camera. You must also be a follower on Google Friend! +1 Go here and tell me what color camera you'd like! +1 Go here to tell me what other products Casio offers and which one you're interested in besides the camera! +1 Sign up for Casio's newsletter! +3 Sign up for my e-mail updates! +1 Tell me how you found my site! +1 Enter any of my other giveaways and let me know which ones you entered! +3 Blog, Facebook, Stumble it or Link it up on a linky! Leave me the link where you did it! You can do as many of these methods as you'd like for 3 entries each! Well, I think that is about enough entries, don't you? This giveaway will close at 11:59 pm on Friday, August 15th MST. I hope that you have fun entering this giveaway! I personally hope that someone who really needs this camera will win! Thank you Casio for this great giveaway! I was given this camera because of a win on another blog and I really needed it. Joyce at Casio kindly consented to do a giveaway for my blog as well! Also, thanks to Shauna at Trying To Stay Calm! I like that you can shoot videos in HD with this camera. I would like my camera in blue. I'm interested in one of those G-Shock watches. I love that it has a pre record mode so theres no lag time! I'm a follower! I love their combination printer! I found your site through your comment on my blog! 20x optical zoom! I'm in love! I LOVE that you can shoot HD video with this cute little thing. I found your page through facebook. i follow with google and being able to shoot video in HD would be great. I'd love to get some video of my friend's little ones. I really like the "Pre Record" feature! I'd choose the black color camera! Casio offers a great line of products. The "QT-8000Spector" kiosk really caught my eye! I subscribed to Casio's newsletter! I love this cameras features picking one is hard but the one feature I like is the art shot . I like the Exilim cell phone as well as the camera there both great products. Signed up for the Casio newsletter. I like the time stamp and the red eye correction. But I'm so desperate for a camera that any would look good. But this one! Oh My - it's like winning the Cadillac! The color I like best is the purple/burgandy/fuschia. I love that you can shoot HD videos on this! It would eliminate the need to carry around two cameras! I think I would get silver! A feature I like about this camera is its shutter lag elimination, which allows it to catch action shots. 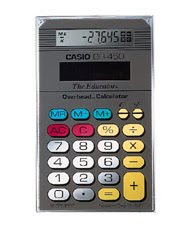 Casio offers musical instruments, projectors, time pieces, cash registers, mobile phones and calculators & dictionaries. Besides the EX-Z550, I'm interested in their portable keyboard. I found your site by googling "casio exilim giveaway" after seeing an Exilim giveaway on another blog. The zoom, action shots, wide angle and the shutter lag are what sells it for me! GREAT CAMERA! I would get a camera, as I'm in dire need of one and love photography! Found you through a comment you left on another blog! I don't have a camera and know nothing much about taking good photos. So I think the "detection and correction of difficult conditions and scenes" would be really helpful for a beginner like me! I like their Label Printers. I found you from Giveaway Scout! Hey, I almost forgot I love the pink one - as always! I like that it can record HD movies in 720p detail. I would pick the silver camera. I also like their KL-60L Label Printer. this camera has one touch video! i would love to have this camera in silver!! I'd choose the blue one ! The feature I LIKE about this camera is that you can shoot beautiful, blur-free night scenes. I LIKE the blue camera. The Art Shot feature sounds interesting to me. I like the idea that a camera can convert a regular picture into an Oil Painting or Crayon work of art! I'd like the Casio Exilim EX-Z550 in black! I'm also interested in the WVA430J Series WaveCeptor watch! I found this site because I subscribe to your blog via RSS Feed (Google Reader)! I LOVEEE that the camera has 14.1 mega pixels. It is much better than the DSLR I bought a few years ago with 10.2 mega pixels! I am lovin the dark purple! My favorite color.. Your button is in my blog roll! I found your site after you found mine on TTA Blog hop! I like the high speed night scene...that would be great for my nighttime country shots! oh definitely want the blue! wow they offer projectors, cash registers, time pieces, mobile phones....I'd probably be interested in the green slim projectors! I'd most like the light pink color. GFC follower and I like the high-speed night scene feature. I have a hard time capturing nice photos outside during the night. I would also be interested in the EX-S12BK! I found you from my giveaway linky on my blog - http://hsuperparents.blogspot.com. i love that you can take videos with this camera! i am a follower!